DragonFire's bolt on quick release steering wheel kits are awesome! They add style, comfort and protection. These are racing inspired so you can remove your steering wheel in seconds making it easier to get in and out and also doubling as a theft deterrent. The Shallow Wheel is 350mm Round w/1 inch offset which is similar to stock. The kit comes complete with a billet quick release & spline adapter. 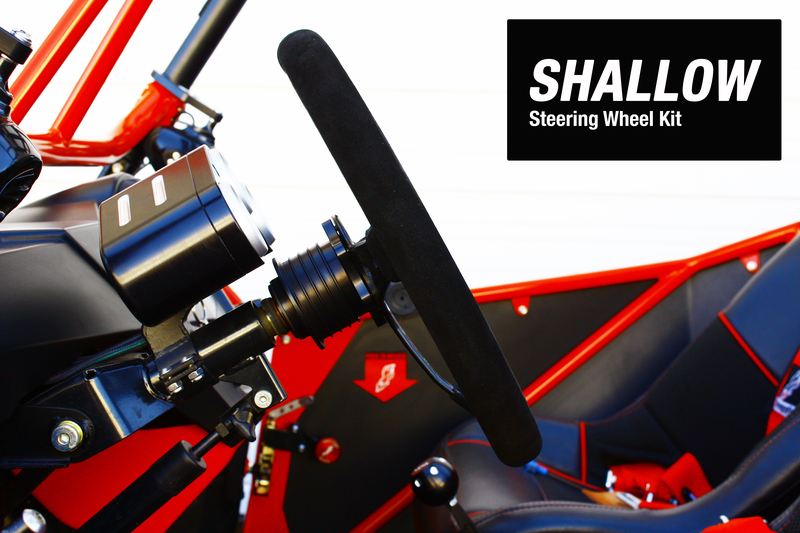 Upgrade your UTV with this sweet Shallow Suede Steering Wheel! 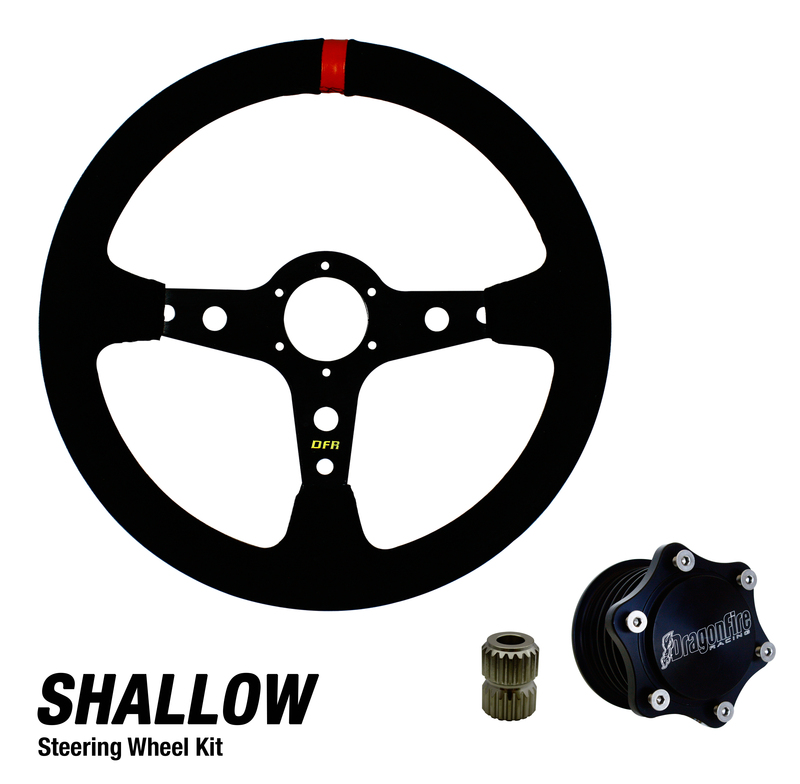 - Our DragonFire Steering Wheels generally ship out within 1 business day!